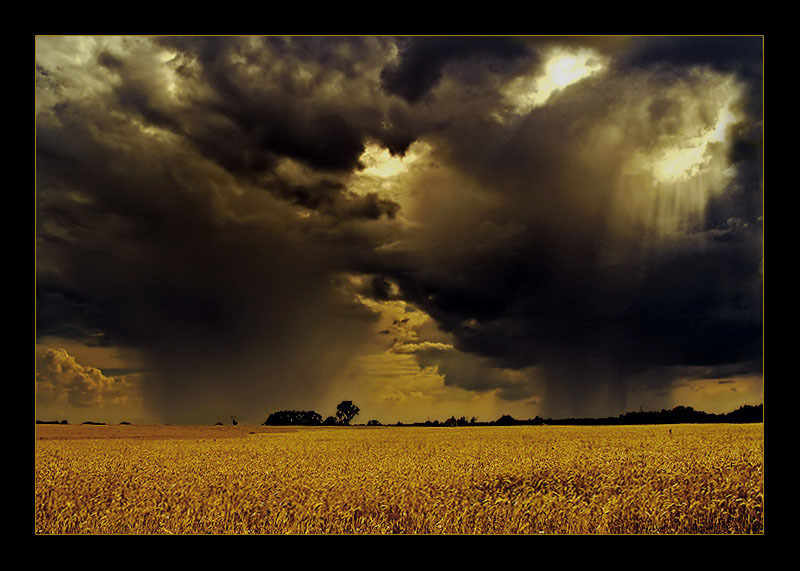 Powerful sensation with those dark clouds and nice contrast with golden field! What can i say WOW !!! Great tones and sof tlight, good atmosphere! Superb image! Very dramatic sky and colors. perhaps one of the most amazing photos i've ever seen. i'm from ukraine and never seen anything like this. An image of great impact! а над техникой надо поработать.